One day, when we arrived at Radix, neighbors alerted us that there was a beehive in a tree next to the adjacent Lincoln Tower that was about to be destroyed. 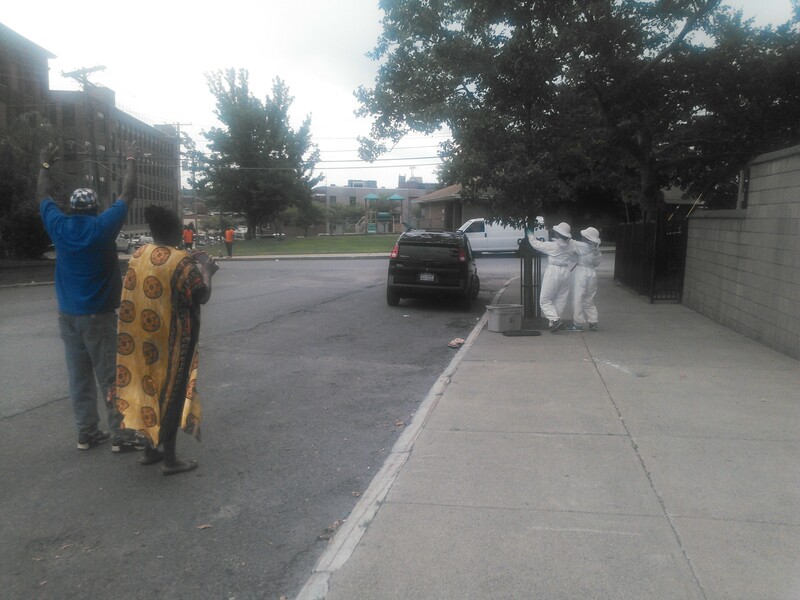 We donned our tyvek suits and bee hats, clipped the branch the hive was on, put it in a bin and relocated it to the woody overgrowth area next to Radix. 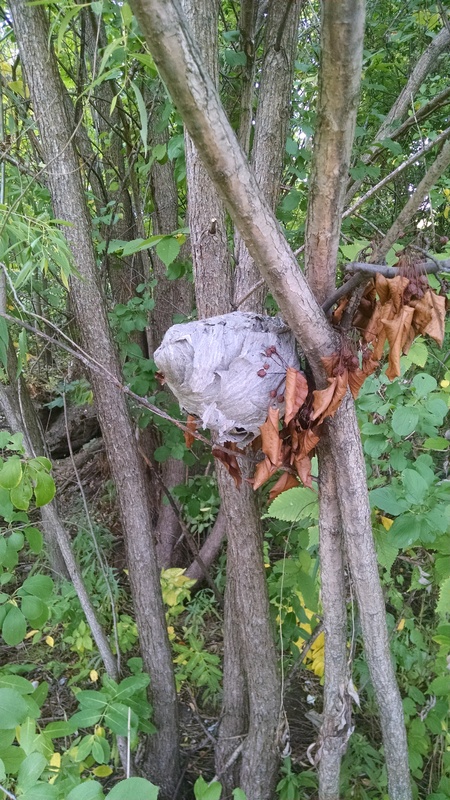 The wasps were saved, neighbors were removed from stings, and our gardens continued to benefit from their presence. We believe the hive was made by paper wasps, beneficial pollinating wasps that feed on insects pests.